Whether you are a new homeowner, or have been living at your residence for several years, it is never too late to start a winter maintenance routine for your vinyl siding. 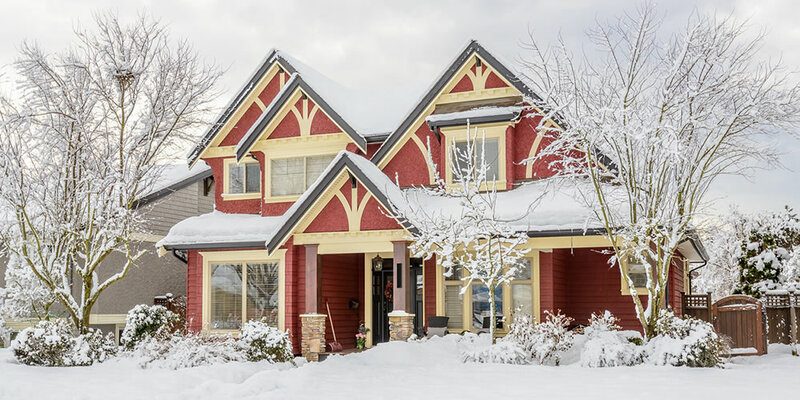 After all, your home’s exterior is 100 percent exposed to the intemperate weather conditions that are known to occur this time of year. These conditions often lead to a long list of home siding damages that can affect your quality of comfort, as well as your bank account. 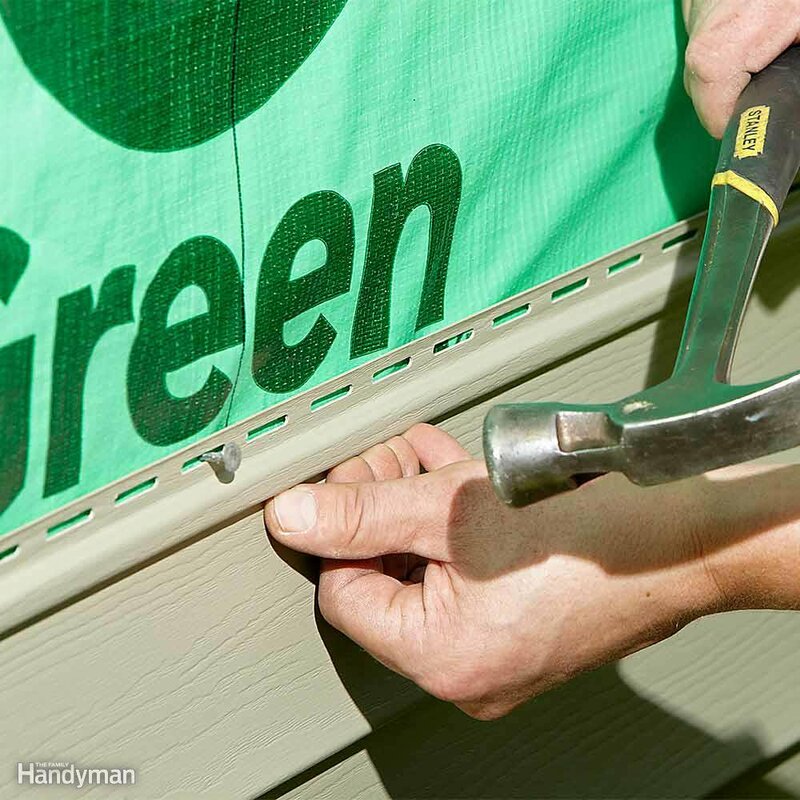 If you want to avoid costly repairs and replacements, protect your investment, and keep your home looking beautiful, it is necessary to take good care of your siding. 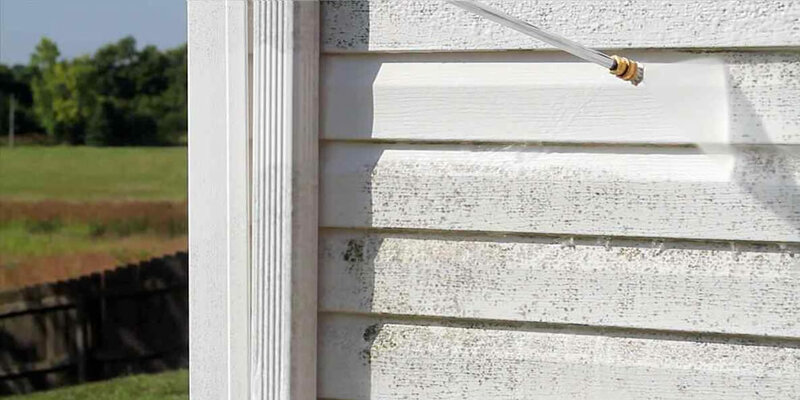 In order to alleviate some of the natural wear and tear experienced by siding during the winter, you can implement some easy upkeep and protect your vinyl from inclement winter weather all season long. Continue reading to learn how you can get started. Regular cleaning is an important part of winter maintenance. This does not mean you have bundle up in all your winter gear and bear the cold to clean it every week; instead, wash it once a month with a power washer. When using a power washer, be sure to always put it on a low setting to avoid any damage, and if the siding is already damaged, do not use a power washer at all. As for a cleaning medium, use a mix of Trisodium phosphate and soapy water. Simply apply, and then rinse from the top down. It is important to always keep an eye out for exterior damage to your home. 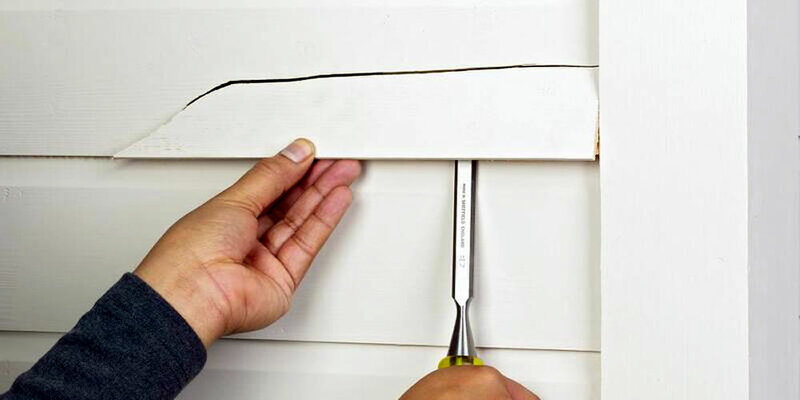 However, on a routine basis, you need to closely inspect your siding for damages and defects. Catching a small problem early on can save you a lot of time and money. Weekly inspections are a good start, followed by a comprehensive inspection conducted by a professional roof and siding company. 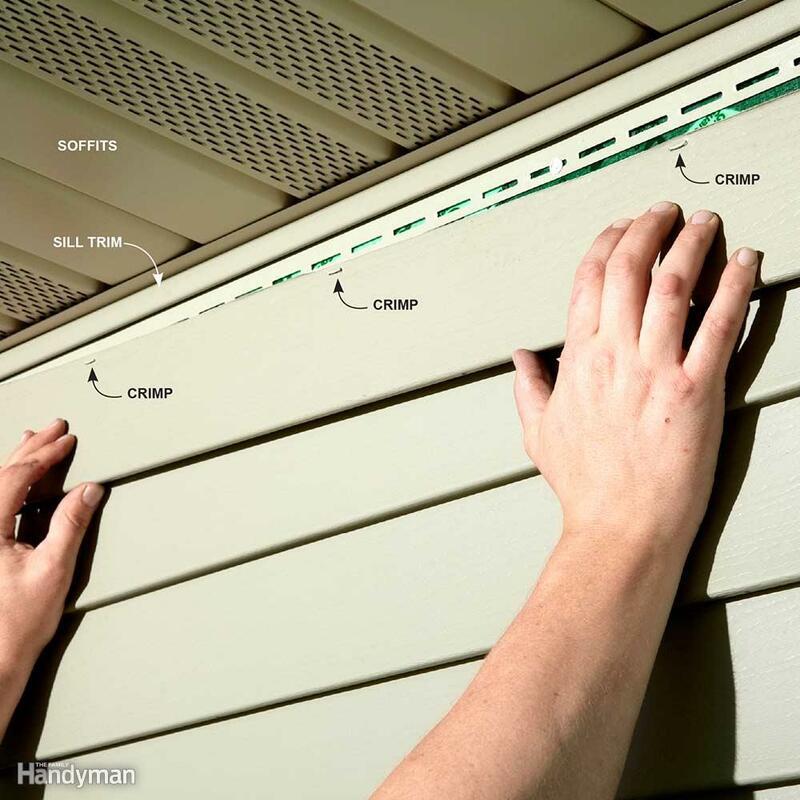 When inspecting your siding, look for cracks, gaps, and water damages; but also remember to check weep holes (holes punched in the bottom of siding for drainage purposes) for clogging issues and pest infestations. You are not expected to be a siding expert, so it can be a challenge locating all the possible vulnerabilities and defects on your home. 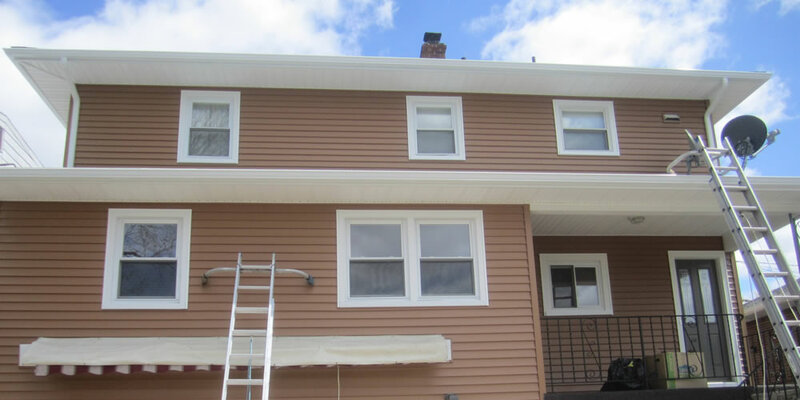 For this reason and more, it is very wise to hire professional siding maintenance on an annual basis to ensure your investment is well-protected. There are thousands of people and businesses that claim to provide this kind of service, but do not be fooled by fly-by-the-night or unqualified companies. 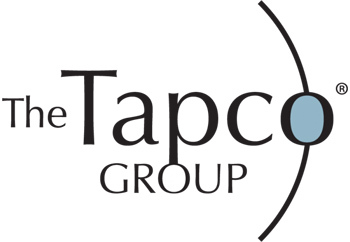 Be sure to choose a company that has extensive experience and a good local reputation for quality service. Do not have vinyl siding installed when the outdoor temperatures are below freezing. 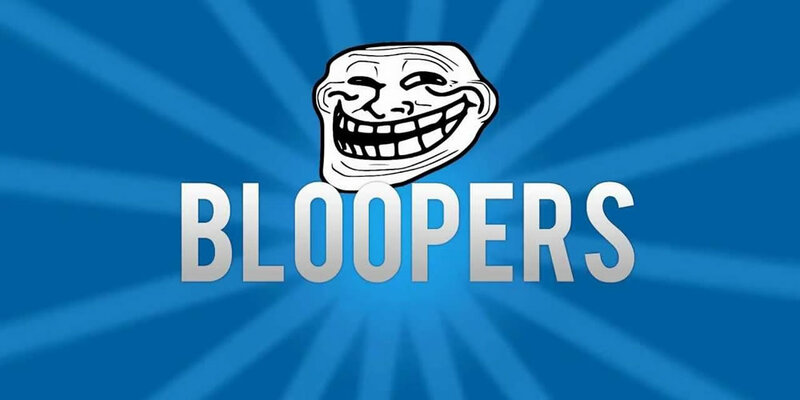 This can lead to contraction, expansion, and various other related defects. The installation process is a systematic and technical development that requires benign environmental conditions. Do not paint vinyl siding. Not only does this void most manufacturer warranties, it can end up looking unattractive and unprofessional. Instead, consider cleaning services or overall replacement for best results. When performing outdoor work like construction, concrete, staining, and anything else that uses heavy chemicals or dyes, it is recommended to cover any vinyl siding that is within range of these kinds of projects. 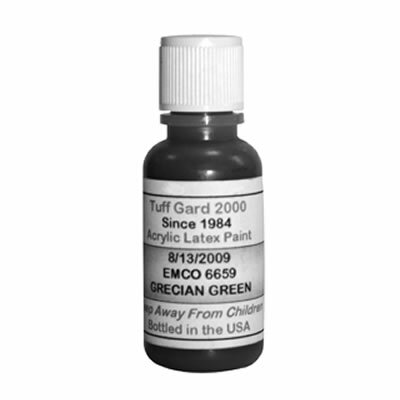 It can lead to discoloration, corrosion, and more. If you’ve been around long enough, you may remember the days when you’d have to scrub your home’s siding with a brush and a bucket of water. Those days are a thing of the past. 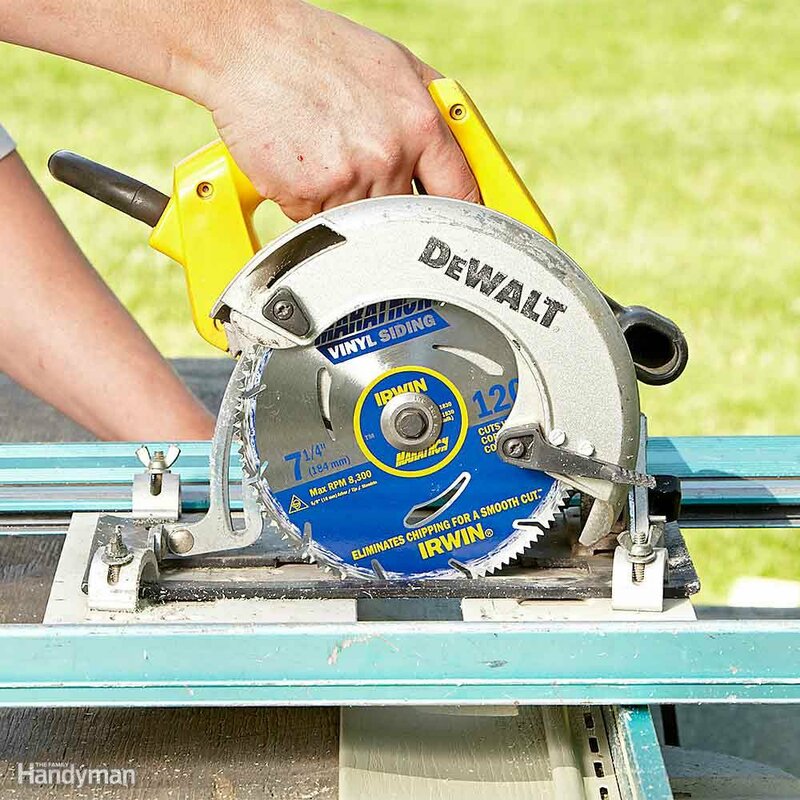 These days, we’ve got pressure washers, but there are a few tricks to the trade. Following the proper steps to pressure washing siding will leave you less exhausted and your home looking like new again. Don’t be intimidated by the power of a pressure washer. Pressure washers are easy to operate and provide significantly more pressure than your garden hose to give your home a complete cleaning. Choosing the right pressure washer is easy. For one-story homes, an electric pressure washer packs enough punch to get the first floor sparkling. For two-story homes, homeowners should consider a gas-powered pressure washer to reach high, hard-to-reach spots. Don’t forget to accessorize. Soap and water is always a better cleaning combination than water alone. 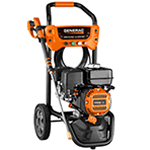 Most pressure washers come with an injector to mix cleaning solutions into the jet stream. Only use solvents that say “approved for pressure washer use” on the label. Unapproved solvents may not be environmentally sound and could eat away at critical pressure washer components. Apply the soap mixture under low pressure with smooth, overlapping strokes. To prevent streaking, start from the bottom and work your way up. Pressure washing is a lot like painting. If you get “hose happy” and randomly spray everything, you’re bound to miss a spot. 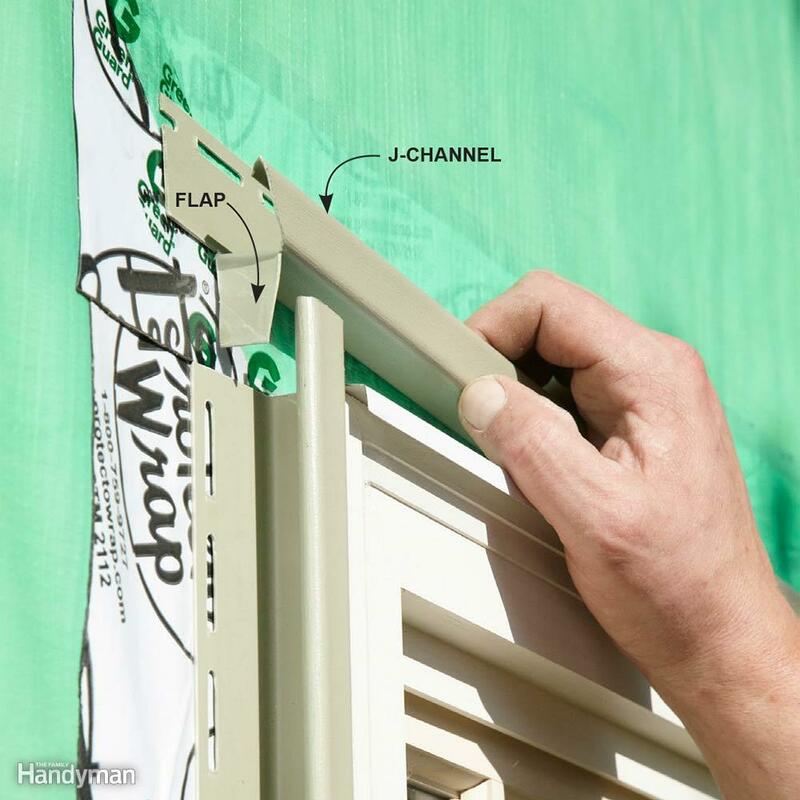 If you have a multi-story house, you should consider using Campbell Hausfeld’s High-Pressure Soap Lance. Most pressure washers only spray soap under low pressure. The new lance sprays detergent up to 25 feet under high pressure. 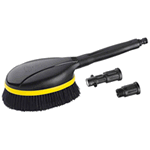 If your home hasn’t been cleaned in a while, use a rotating or utility brush to help loosen thick layers of dirt. The brush simply snaps to then end of the pressure washer wand. Best of all, it acts as a foaming brush, emitting a soapy solution as you clean. 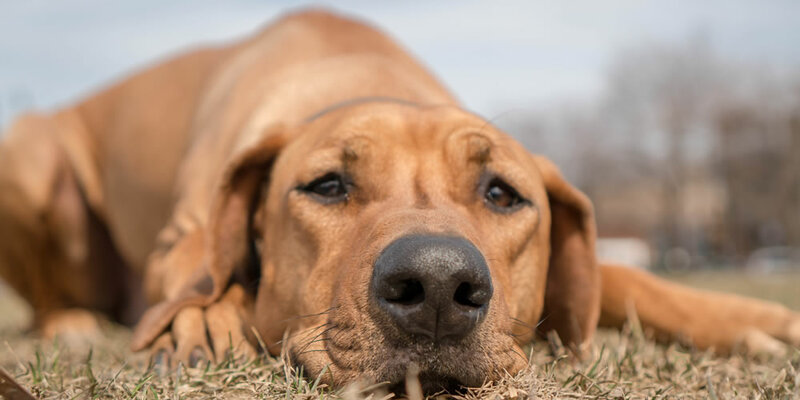 Why bother using a solution if you don’t give it time to work? It’s okay to allow the soap mixture to sit for five to 10 minutes, as long as it doesn’t dry. Pressure washers are designed to pack a punch. If you start spraying too closely, you could damage, instead of clean, the area. Hold the wand a couple of feet from the surface and gradually move closer if additional cleaning power is needed. Be careful not to spray directly at eaves, vents or light fixtures. High water pressure can knock out loose windowpanes or break them. Also, keep the angle of the wand pointing down so you don’t spray up under the laps of horizontal siding. 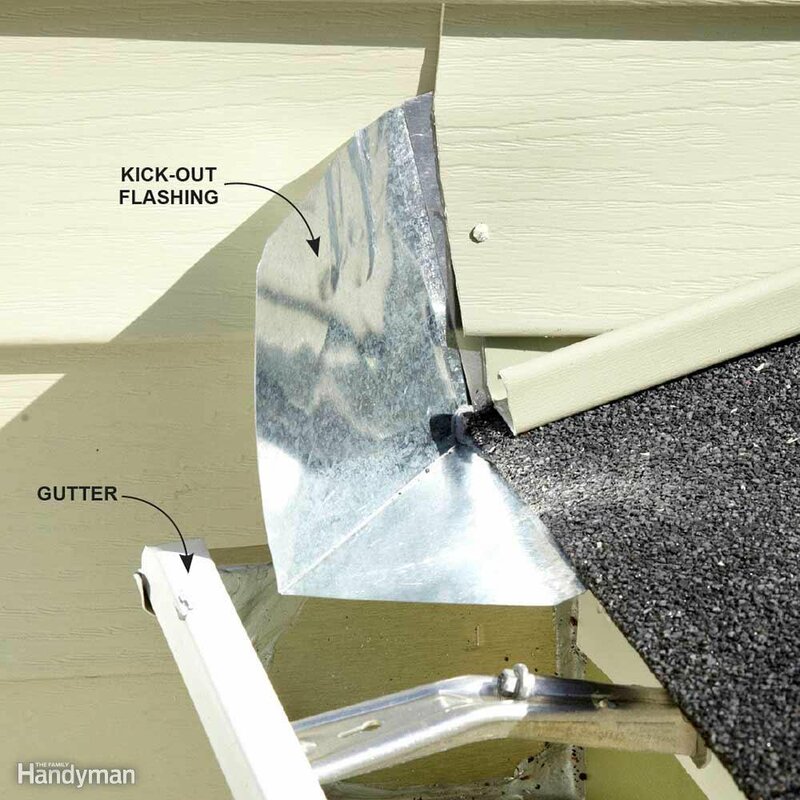 This will prevent the vinyl siding from buckling under pressure. When rinsing, start at the top and work down to ensure the entire area is soap free. Pressure washers are a blast to use. Best of all, they work extremely fast, so you can spend more time admiring your work than actually doing it. In addition, pressure washers have lots of other handy uses around the home – from stripping paint to cleaning your deck to scrubbing your sidewalks. WHILE there are many ways to enhance the appearance of a house — installing a new front door, adding shutters, painting the window frames, sprucing up the landscaping — few improvements provide the metamorphosis that results from installing new siding. ”In the last few years, the siding market has exploded,” said Bruce Herlitschek, president of American Home Exterior Design, a siding company based in Yonkers. 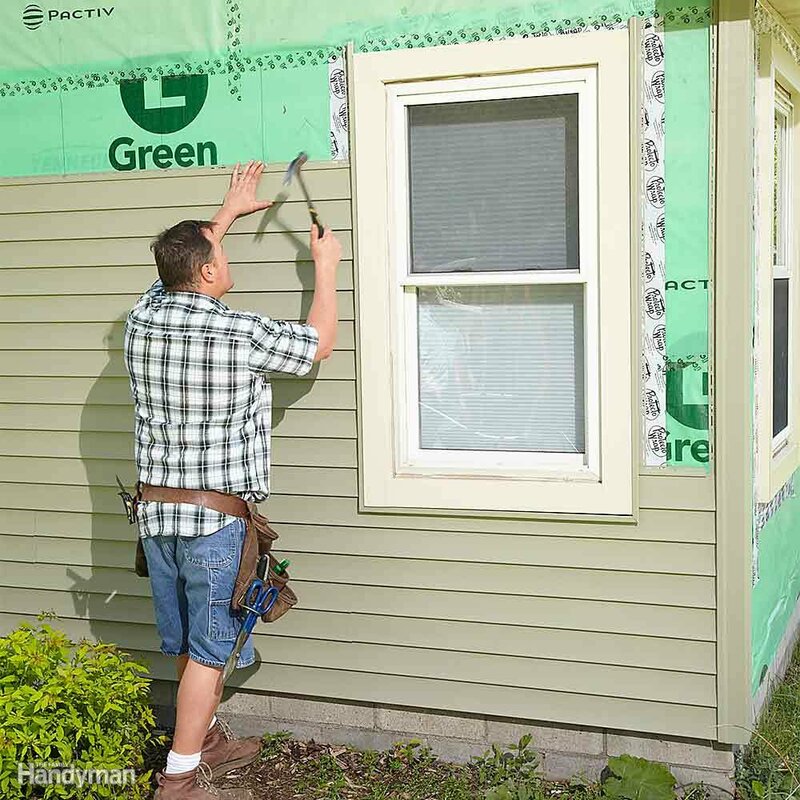 Mr. Herlitschek said that the growth relates both to the number of homeowners calling to have their existing siding replaced and to the range of choices of replacement materials now available. ”Homeowners have more options now than ever before,” he said, explaining that in addition to traditional siding materials like cedar-shake shingles and wood clapboard, homeowners can choose from various styles, shapes, colors and even thicknesses. And while many homeowners still install aluminum siding, he said, the most common siding material for new installations in the Northeast is vinyl. 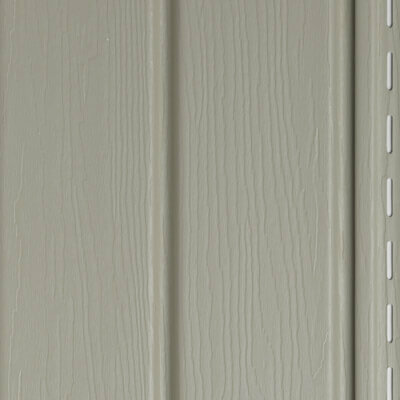 ”Vinyl siding is molded into different shapes and sizes in the factory,” he said, adding that since the color of vinyl is imbedded in the material itself — as opposed to being a surface finish, as it is on aluminum — scratches are virtually invisible. The traditional vinyl panel, Mr. Herlitschek said, is called a ”single-eight,” which means that the panel is eight inches high. 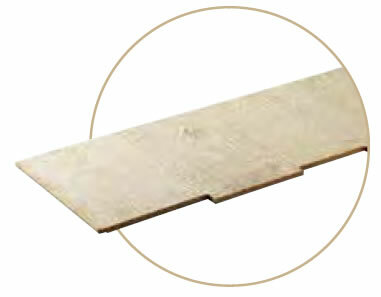 Most vinyl panels come in standard 12-foot lengths. The panels most commonly used today, however, are known as ”double-fours” — eight-inch-high lengths of vinyl that are molded to appear as two four-inch clapboards, one above the other. 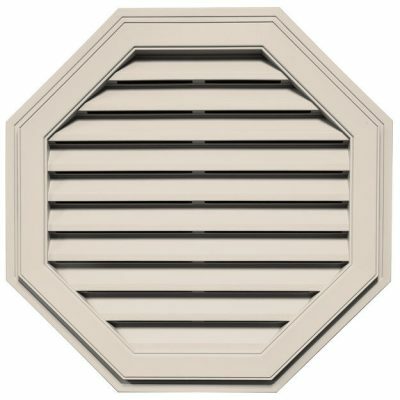 Panels are also available in a style called shiplap or Dutchlap, a nine-inch-high panel that looks like two four-and-a-half-inch-high boards that are beveled on the edges. 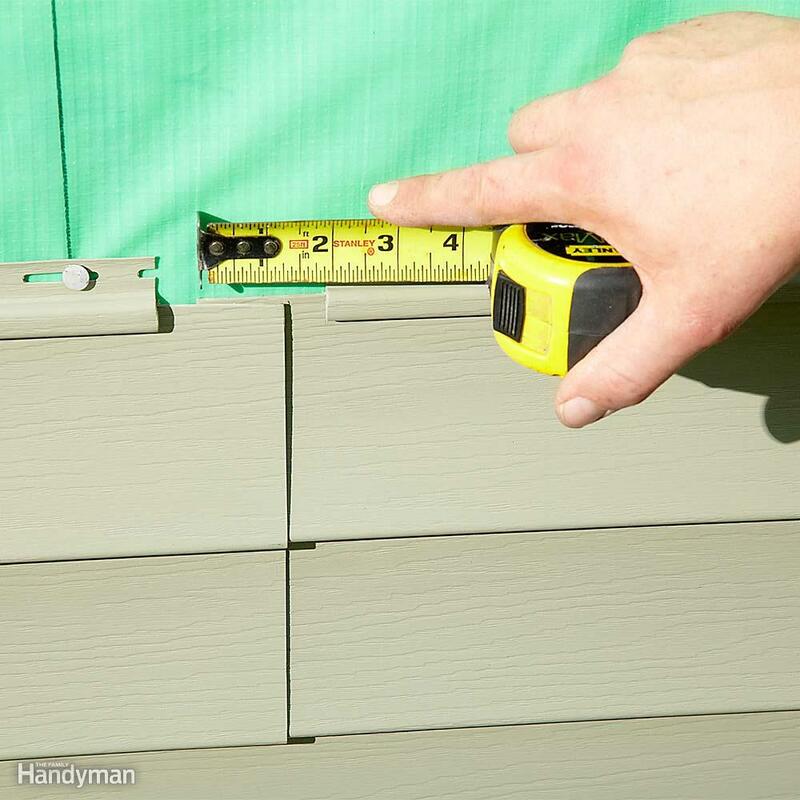 ”If everybody else on your block has double-fours, using shiplap will give your house a unique exterior detail,” Mr. Herlitschek said. Joseph J. Horan, an owner of Vinylseal, an East Meadow, Long Island, contractor, said that it is also possible to purchase vinyl panels that look like three-inch-high clapboards. ”If you have a one-story ranch, oftentimes we’ll recommend going with three-inch panels because it makes the house look taller,” Mr. Horan said, adding that such panels on a two- or three-story colonial, on the other hand, could make the house look too busy. 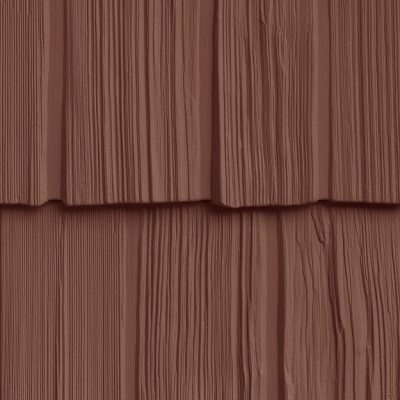 Another popular style of vinyl siding mimics the look of cedar shingles. ”There are rustic shakes, scallops and even gingerbread,” he said. ”And there are also a lot of accessory items that can enhance the look of a house.” Among the accessories, he said, are shutters and decorative moldings that can be installed around windows and doors. 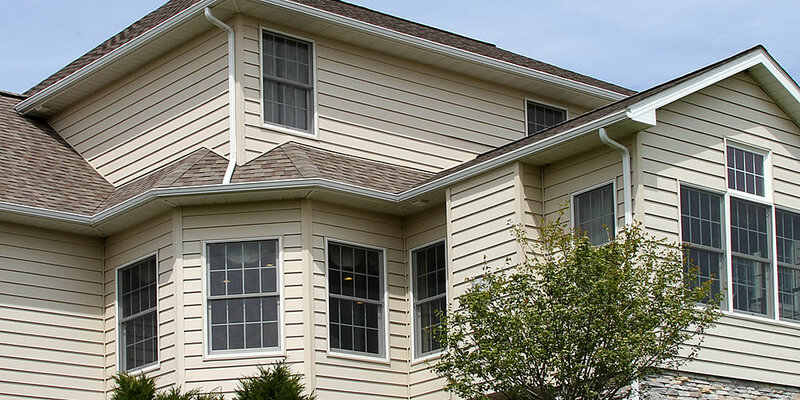 Mr. Horan said that in most cases, before new vinyl siding can be installed, the existing siding should be removed. Failure to remove it will result in an uneven base for the new siding and make it impossible to assess the condition of the surface underneath the old siding, he said. ”You have to make sure you have a sound subsurface,” he said, explaining that it is not uncommon to find rotted wood near where the foundation meets the sheathing and around windows and doors. The sole exception, he said, is shingle-type siding that contains asbestos; such siding is generally left in place so that no asbestos fibers are released into the air. 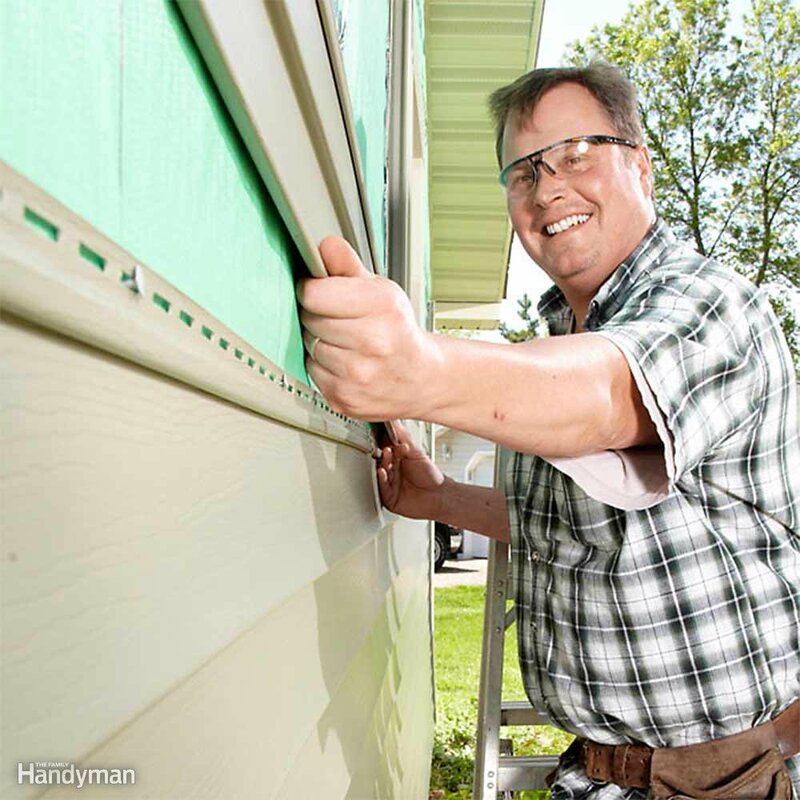 ”Then you install a plastic vapor barrier and a layer of foam insulation underneath the new siding that’s being installed,” he said. 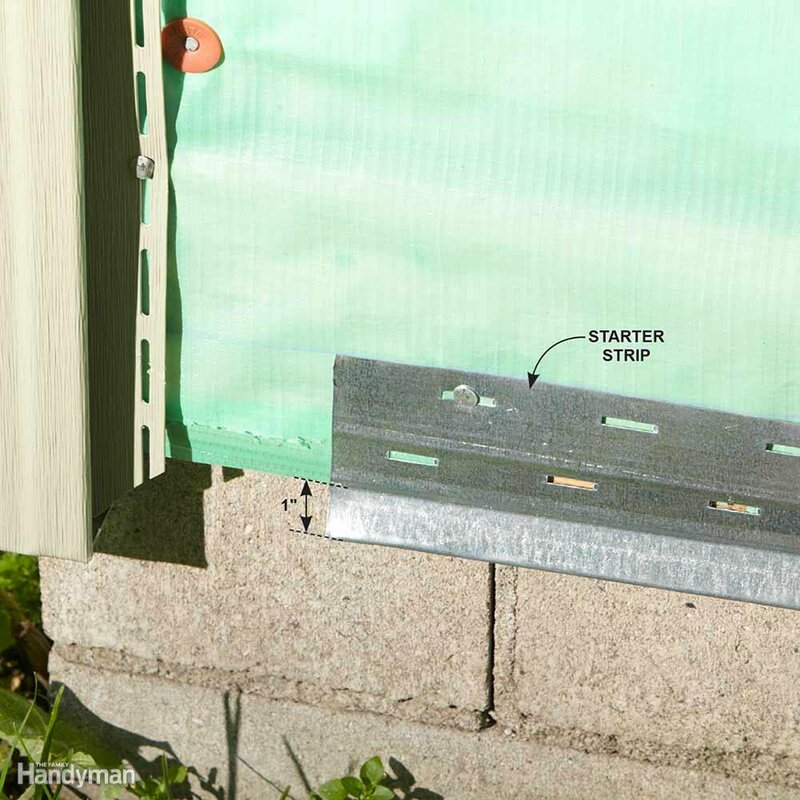 The cost of installing standard vinyl siding, including removing the existing siding and installing a vapor barrier and insulation, should run anywhere from $500 to $700 for every 100 square feet of surface to be covered, he said. Corner posts above the roof-line are a notorious source of water infiltration. 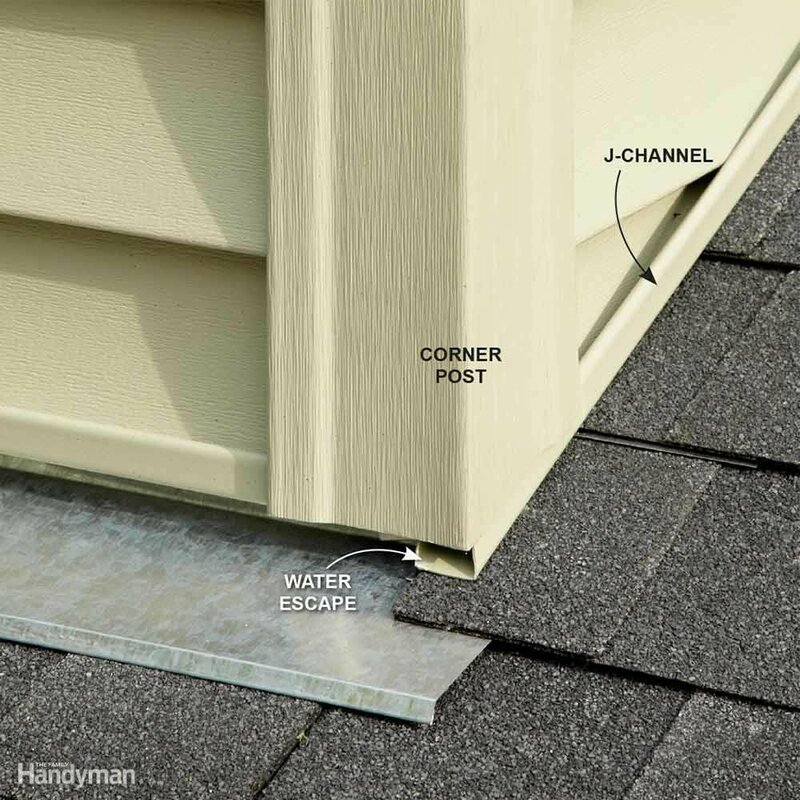 If a corner post is installed tight to the shingles and the J-channel dead-ends into it, any water that runs down the J-channel will back up at the post and may find its way into the house. Instead, hold the corner post up a bit and run the J-channel beneath it. Pay close attention to the area where the top row of siding meets the soffits. 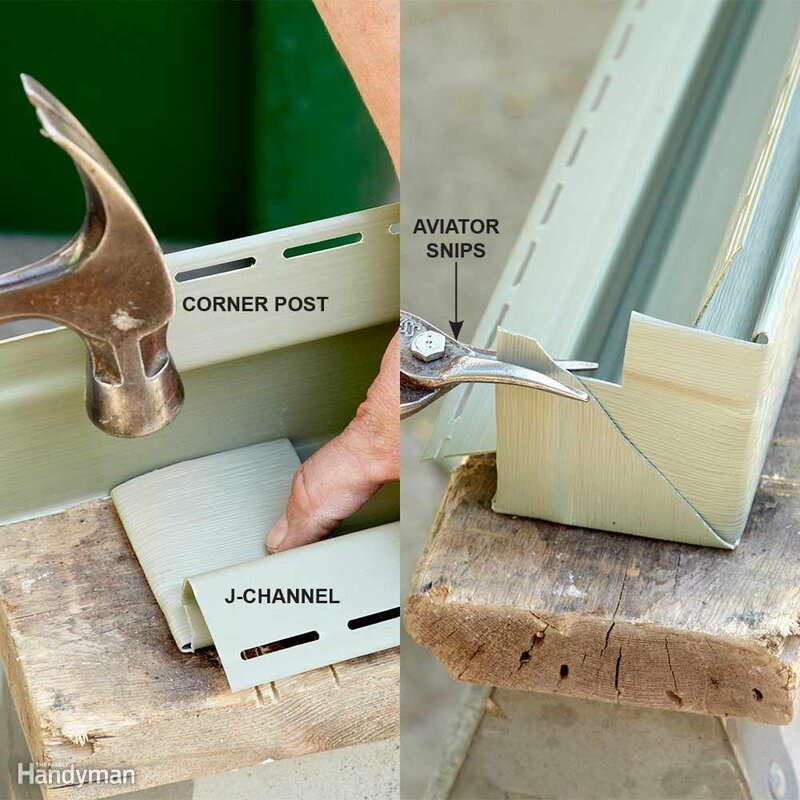 The most common approach here is to install sill trim at the soffits, rip down the top course of siding, and crimp the siding so the sill trim holds it in place. This works fine most of the time, but always add a few blobs of caulking inside the bottom lip of the top course for extra security. 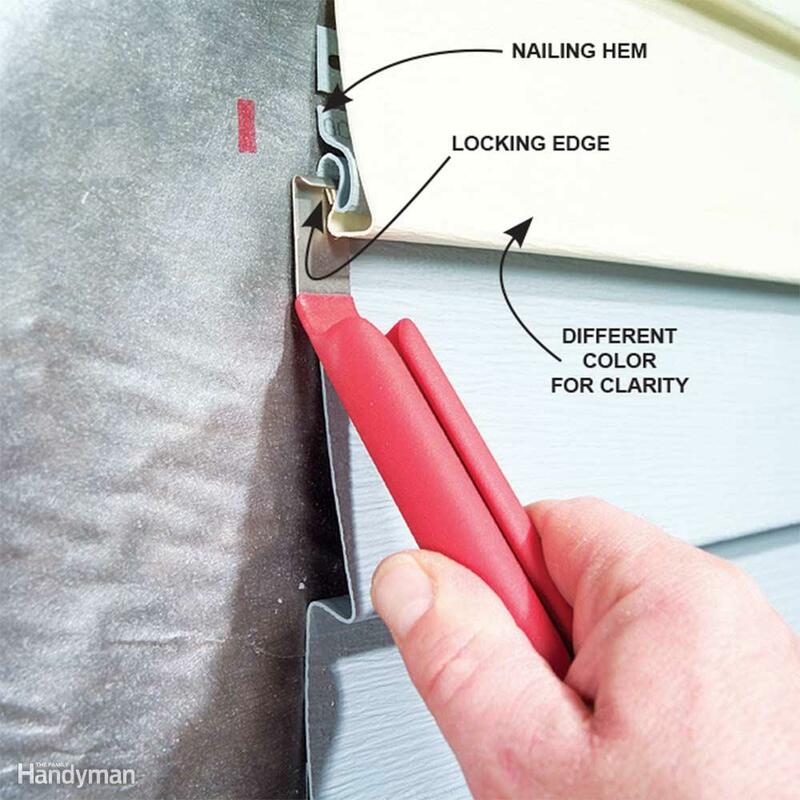 You can crimp the siding using a Malco Snap Lock Punch. A lawsuit in Oregon over melted vinyl siding is revisiting the question of what role, if any, windows might play in such events. The lawsuit, which was filed in August in U.S. District Court in Portland, Ore., could become a national class action case. “While the precise number is unknown at this time … the proposed Class may be comprised of at least thousands of members,” lawyers for the plaintiff said in their complaint, which noted that there are at least 100 potential class members who could claim damages in excess of $5 million. 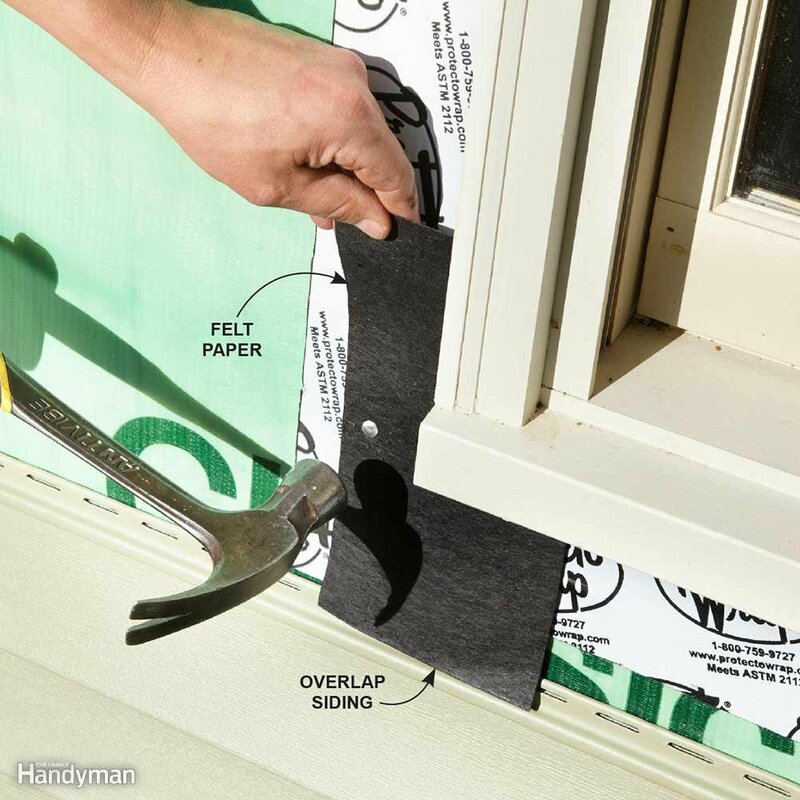 A study by the National Association of Home Builders (NAHB) found that under certain rare conditions, it’s possible for windows to focus enough heat onto vinyl siding to melt or warp it. 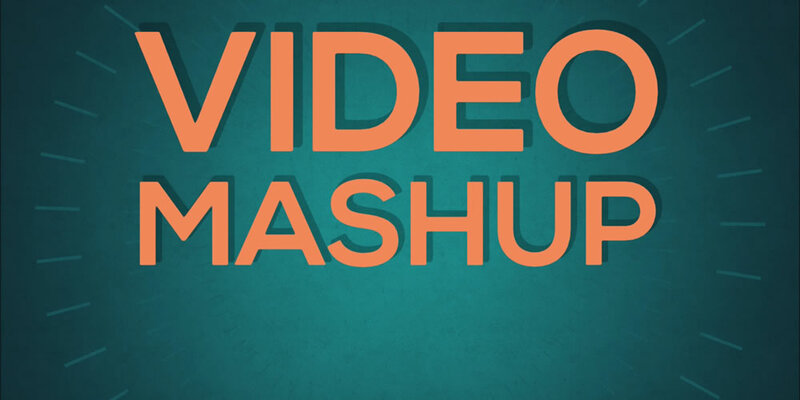 Other factors that can affect distortion include foliage, the angle of the sun and how close houses are to one another, the report says. To prevent concavity, the NAHB report urges window manufacturers to use capillary tubes between the two lites of glass. “The capillary tube connects the interior space between the window panes to the outside air, permitting a gradual equalization of barometric pressure, and thereby lessening the possibility that a concavity will develop in the glass,” the report says. However, capillary tubes can’t be used in windows with argon filling, because the gas will leak out. Additionally, the NAHB report says manufacturers could switch to double-strength glass to prevent the concavity problem. Most windows are made with two pieces of glass that are 3/32 of an inch thick. Glass that’s 1/8 of an inch thick would maintain a flatter surface. For years, many homeowners assumed that low-E glass was the main culprit in melting vinyl siding. Low-E glass has been standard in building codes for years. Today, it’s in more than 81 percent of all residential windows, according to the American Architectural Manufacturers Association (AAMA). In 2014, complaints about warped siding and even a handful of fires led the North Carolina Building Code Council to adopt an emergency rule that would let builders use non-low-E glass in situations where they could foresee reflections causing a problem. However, after intense lobbying by AAMA, the Window and Door Manufacturers Association (WDMA) and other industry groups, the North Carolina Rules Review Commission rejected the rule. But last fall, the North Carolina Building Code Council changed the energy conservation section of the state building code to allow substitution of windows when they have been either shown to cause a problem relating to concentrated solar reflection or it can be determined they could cause a problem. This permanent rule took effect in January 2016. The change was made to ensure builders would be clear of any liability for not being in compliance with the energy conservation requirements, said Jeffrey A. Smith, communications director with the Vinyl Siding Institute.